In the heart of the Bargara village. 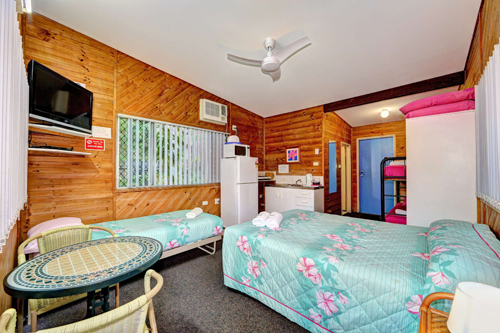 Welcome to Bargara Gardens Motel and Holiday Villas – your superbly positioned tropical paradise. Come and enjoy the relaxing ambience of our self-contained beach villas nestled in beautiful gardens right in the hub of the village. Bargara Gardens backs onto the 10th hole of the Bargara Golf Course and a short walk will take you to alfresco dining, specialty shops, and the Esplanade boardwalk – a truly scenic track for walkers and cyclists. It’s only 100 metres to year-round stinger free beaches and the very popular ‘Basin’ for fish feeding and snorkelling. Bargara is at the southern end of the Great Barrier Reef and offers both onshore and offshore scuba diving and snorkelling. Visit the famous Mon Repos Turtle Rookery from November to April. 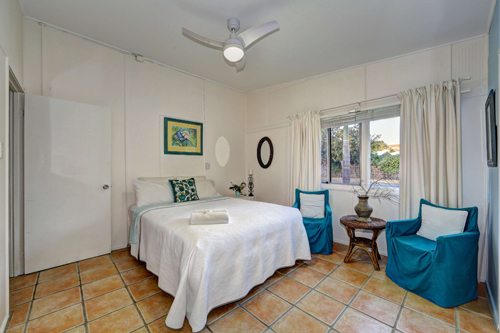 Our accommodation options consist mainly of studio style and two bedroom villas. For those who appreciate the nostalgia of a bygone era, you can also enjoy a retro experience in our secluded vintage villa. 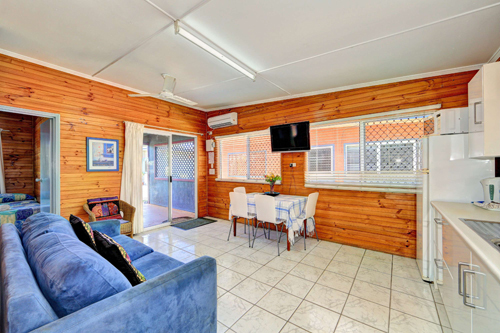 For those looking for complete privacy, we also have the stunning Beach Hideaway holiday rental home located at the southern end of Bargara. Your tropical paradise awaits you. Call us today to book the perfect holiday. 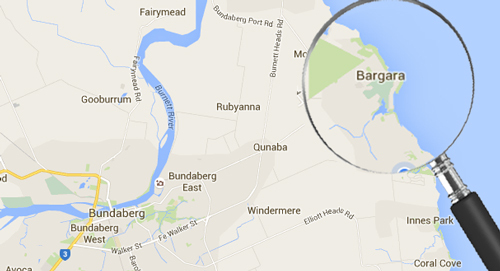 Bargara is the largest of the Bundaberg region’s coastal towns and is just a 15 minute drive from the Bundaberg city centre. 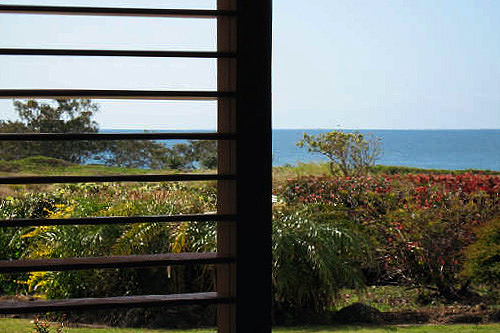 Bargara features an abundance of accommodation and dining options. There are also significant shopping facilities, plentiful parklands, several beaches, and two still water swimming areas. Contact us directly to get the best possible rate. Contact us directly to get the best available rate for your stay.